Here is Part 2 in a 4 Part Series on the Muscatine Fire Department. 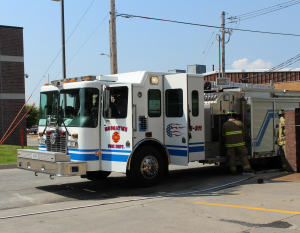 Last week, I wrote about Fire Department staffing and explained that there are times where the Fire Department goes below the required nine personnel on duty. While this can be for a variety of reasons, it is crucial that there be adequate coverage and protection for the people in Muscatine should major structure fires arise. While meeting with Chief Ewers, he expressed faith in Muscatine’s highly trained and dedicated firefighters who are capable of tackling any type of emergency that may arise. The City of Muscatine and the Fire Department recognize the need for increased staffing and are working to address it. One of the ways we may be able to increase staffing is through being awarded the US Department of Homeland Security’s Staffing For Adequate Fire And Emergency Response (SAFER) Grant. This entry was posted in Budget, Cities, City of Muscatine, Uncategorized and tagged City of Muscatine, Fire Department. Bookmark the permalink. 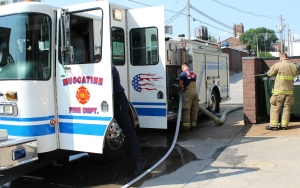 ← How is the Muscatine Fire Department Staffed?